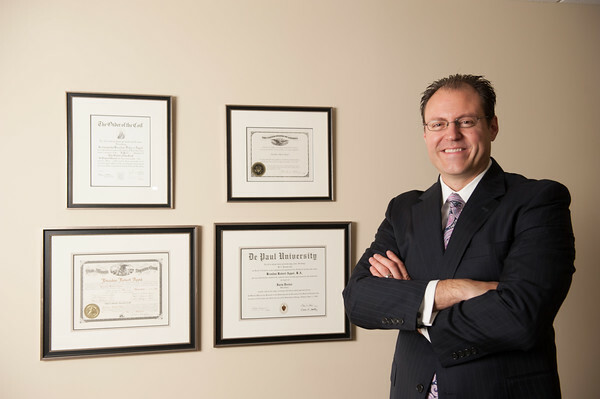 While each client’s situation is unique, the Law Offices of Brendan R. Appel has come through time and again for its clients. These are just a sampling of the many successes of our firm since its founding in 2003. When a client struggled in vain for years to have her condominium association fix the constant water leaks into her unit, she called our firm. Brendan went to work, filing a multi-count complaint for breach of fiduciary duty and civil conspiracy. After two years of contentious litigation, the firm won six-figure settlement. A mortgage foreclosure is a traumatic experience for any homeowner. So when a couple down on their luck with layoffs were facing the loss of their home, they called us. Mr. Appel went right to work, investigating the foreclosing bank and its litigation practices. He found the bank’s evidence that it owned the mortgage and note were suspect, and that it had employed a robo-signer to assign the clients’ mortgage to the bank after the bank had already filed for foreclosure. Further investigation found the bank, an asset-backed trust, likely acquired the note and mortgage (if at all) after the trust’s ability to acquire new assets had ended. Compounding these errors, the bank’s new servicer attempted to continue collecting the debt from one client after the debt was discharged in bankruptcy. In addition to stopping the foreclosure, the firm filed suit in federal court for violations of the Fair Debt Collections Practices Act. The bank attempted to rely on boilerplate language on its communications to avoid liability under the Act, but Mr. Appel won a motion to dismiss, ultimately leading the bank to settle all of its claims against the homeowners. The firm is happy to report the clients are still in the home today. When a contractor doesn’t get paid on a job, it can cause financial stress. Luckily, one heating and air conditioning company contacted the firm after efforts to collect an unpaid bill were unsuccessful. After locating the owner of the defendant company (who listed a false address), the firm quickly obtained a full-price settlement within 30 days, including the firm’s attorney’s fees. A property seller’s worst nightmare is a buyer who not only breaches a contract at the closing table, but compounds that act by recording the contract, thereby placing a cloud on title. That nightmare scenario came true for one of Mr. Appel’s clients; fortunately, his prompt actions quickly solved the issue to the client’s full satisfaction. Within a week of the buyer’s failure to pay the full amount at the closing table and only days after the buyer refused to execute a release of its recorded contract, The Law Offices of Brendan R. Appel filed a complaint for declaratory judgment, quiet title, slander of title and breach of contract. Faced with overwhelming facts and law, and an airtight complaint with a claim for punitive damages, the defendant folded its tent and agreed to pay damages in the five-figures within one week. The firm doesn’t handle many criminal matters, but when one juvenile was framed for possession of a weapon at his school, the family turned to Brendan Appel for help. Undeterred, Mr. Appel took the case to a two day bench trial and won a full acquittal of his teenage client. Remarking on Mr. Appel’s cross-examination of the mother’s boyfriend, the judge asked, “I can’t get past the question, how did the boyfriend know exactly where the knife was when he called the school?” We are happy to report the teen’s father was able to then obtain full custody, and the teen is thriving in his new environment.